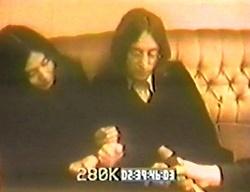 Notes: Capping off a very busy week, John and Yoko visited their dentist for an appointment. 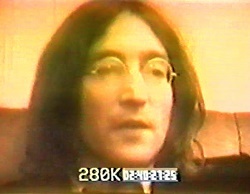 Never one to miss an opportunity, John invited a TV crew from Holland to interview both him and Yoko whilst they were there. 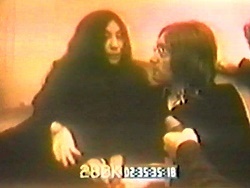 The first 30 minutes consists of Yoko being interviewed and the remainder has John joining her. The TV show episode used only 40 minutes from this footage, however the 60 minutes plus of raw footage (oddly in colour and black and white) snuck out in the 1980`s. The program was aired only in black and white in January 1969 but this actual broadcast copy has not become available. It seems the Austrian crew were still around as two minutes from this interview also turned up in their doco "John Lennon & Yoko Ono".